President Cyril Ramaphosa's office has responded to testimony before the state capture commission of inquiry and as well as report published by News24 relating to his son, Andile. 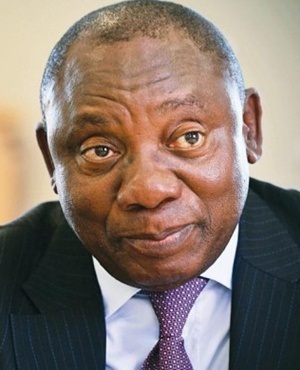 In a lengthy statement issued on Wednesday, the president sought to clarify that an issue surrounding a R500 000 donation to his ANC presidential campaign by Bosasa CEO Gavin Watson held no correlation with a R2-million business deal Andile Ramaphosa had with Bosasa. The Presidency has noted several media reports and commentary on testimony before the Zondo Commission yesterday that conflate a number of separate issues. President Cyril Ramaphosa first explained the matter in his letter to the Speaker of the National Assembly on 15 November 2018. He also provided the Public Protector with a statement on the matter, which is available on the Presidency website. Mr Andile Ramaphosa has subsequently also made public details on his business relationship with African Global Operations. - In April 2017, Blue Crane Capital, a company owned by Mr Andile Ramaphosa, began discussions with African Global Operations (AGO) to explore possible business opportunities in certain East African countries. - In December 2017, an advisory mandate was signed between Blue Crane Capital and AGO, and in January 2018 an Anti-Bribery and Corruption Policy. - According to information made public by Blue Crane, the contract stipulated a monthly retainer of R150 000, which was later increased to R230 000. By the time Blue Crane terminated the contract in January 2019, following revelations at the Zondo Commission, AGO had paid Blue Crane around R2 million for work done in fulfilment of the contract. - President Ramaphosa was made aware of the business relationship between his son’s business and AGO in September 2018 after he was informed about a rumour that Mr Andile Ramaphosa had received a payment of R500 000 from AGO. Mr Andile Ramaphosa explained to the President the nature of the business and showed him a copy of the contract. - It was on the basis of this information that the President replied to a question from the Mr Mmusi Maimane in the National Assembly on 6 November 2018. The President had assumed that the payment referred to by Mr Maimane was related to this business contract. - However, as the President was subsequently made aware, the payment of R500 000 had been a donation by Mr Gavin Watson of AGO to the CR17 campaign through an attorney trust account that was used for the purposes of fundraising for the political campaign. - Having established the facts of the matter, the President wrote to the Speaker of the National Assembly on 15 November 2018 to provide the correct information. - The donation of R500 000 to the CR17 campaign by Mr Watson was distinct from, and unrelated to, the contract between Blue Crane and AGO. - The donation from Mr Watson was sought and obtained by the CR17 campaign without the President’s knowledge. This followed a decision by the campaign managers that the President should not be provided with the identity of donors or amounts pledged. - The President has subsequently been informed that, following revelations at the Commission of Inquiry into State Capture, the former CR17 campaign managers took a decision to return the donation. The funds amounting to R500 000, have been placed in an attorney’s trust account until allegations against Mr Watson and AGO have been clarified. The Presidency understands that the testimony before the Zondo Commission of Inquiry needs to be fully investigated and corroborated. In line with previous statements to this effect, the President has once again reiterated his commitment to appear before the Commission. This gesture also serves to encourage other South Africans to answer the call by Deputy Chief Justice Zondo for witnesses to step forward and assist the Commission in its hearing of evidence.